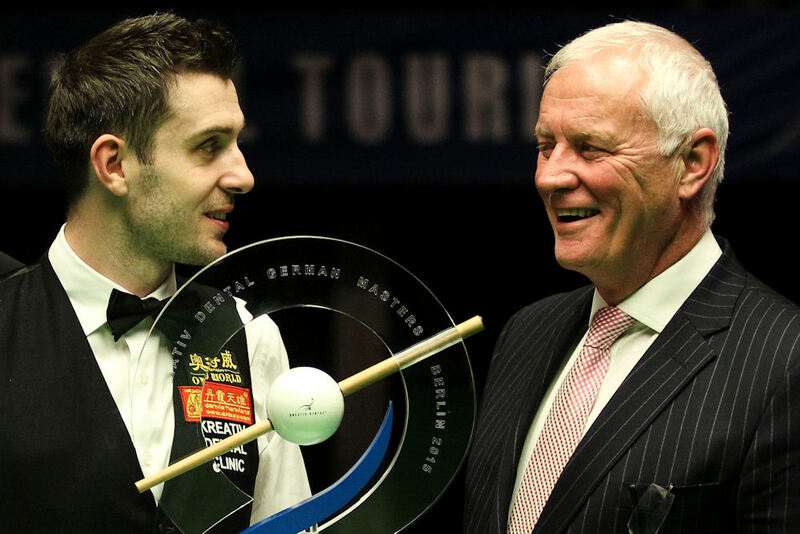 Mark Selby won his first ranking title since becoming World Champion by beating Shaun Murphy 9-7 in the final of the Kreativ Dental German Masters. A passionate crowd at the iconic Tempodrom in Berlin – widely recognised as one of the best venues on the circuit – were treated to a cracking final as Selby came from 5-2 down to win seven of the last nine frames. In fact the crucial moment of the match was the last frame of the opening session when Selby made a superb clearance to trail just 5-3 going into the evening’s play. 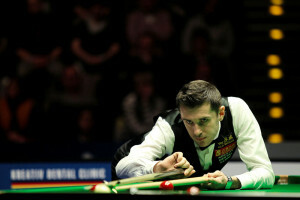 Leicester’s 31-year-old Selby captured the 80,000 Euro top prize and fifth world ranking title of his career. Victory also sends him back to the top of the ranking list. Up until this week it had been a quiet season for Selby – his only title coming at the Riga Open European Tour event – and he had reached only one semi-final in the main ranking events. With the added expectation that comes with being World Champion – not to mention the arrival of a daughter in November – he had struggled to find the game which conquered the Crucible last May. Ironically, his preparation for this event was the worst of his season as he spent a week in China playing eight-ball pool, reaching the final. If cue sports do earn a place at the 2020 Olympics, Selby will surely be a contender for multiple gold medals. He flew from Shanghai to Berlin, arriving the night before the tournament started, and after battling jet-lag to scrape through his opening match, he gathered momentum as the week progressed, and looked close to his brilliant best in wins over Judd Trump, Stephen Maguire and Murphy. Runner-up to Mark Williams at the Tempodrom in 2011, Selby is now German Masters champion for the first time. Murphy missed out on a sixth title in 12 months and back-to-back crowns having won the recent Masters. Still, the past year has been the best of the Nottingham-based player’s career and he will surely – alongside Selby – be a among the favourites for the world title in the Spring. Selby started the evening session strongly with a break of 92, and took the next frame as well by clearing from the last red after Murphy had lost position. Selby’s 93 in the next saw him take the lead for the first time since 2-1. In frame 12, Selby missed the black off its spot at 53-6 and Murphy had a chance to clear, but wobbled a tricky final red in the jaws of a top corner. Selby came off a cushion to pot it and extended his lead to 7-5. Back came Murphy after the interval with a break of 80, helped by a fluked red mid-way through the break. In frame 14, Murphy missed a black on 33, but got another chance after Selby failed to gain position on the last red, and cleared to level at 7-7. Selby made an early 41 in the 15th frame and eventually sealed it with a cracking long pot on the last red. Another long red set up a break of 51 in the next, and when he added a further 18 points the title was his. “Coming here from China, I wasn’t expecting much,” said Selby. “I always believe I can win, but with the fatigue I knew it would be difficult and I had to show a lot of character. Maybe that took pressure off me, but I was cursing myself because I knew if I lost I would only have myself to blame. It’s hard to believe I’m standing here having won the title. I have struggled this season so to win this by beating Shaun – who is the form player – is fantastic. “It was disappointing, up to now, not to perform at my best this season, having become World Champion, even though it was mainly top players I was losing to. So it’s nice to get the first ranking title under my belt and the performances this week were pleasing. Murphy said: “I knew today would be very close. Do I rue the missed red at 5-2? Perhaps a little bit, although there were eight other frames after that. I thought tonight Mark came out and played very well, like a World Champion. The match was a very high standard. I came into tonight feeling very good, but I got two kicks in the first two frames, otherwise the score could have been different. After that Mark was in control. The frame at 7-7 was big. I never had a chance to win the match.